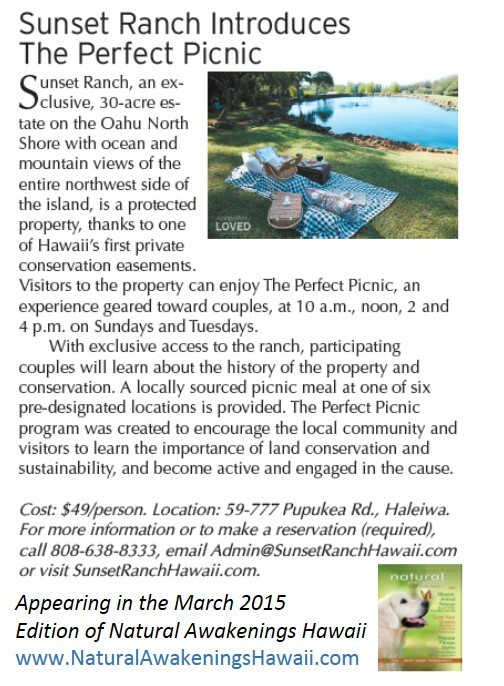 The Perfect Picnic was profiled in the March issue of Natural Awakenings magazine. Mahalo to Becky and Bud Kowalski for thinking of us as we launch our Site Tour Experiences in 2015! Select the Book Now tab to secure reservations for The Perfect Picnic today! For any questions, please contact us at (808)638-8333, or e-mail us at [email protected].